Throughout Andover, evidence of the town’s past can be seen in the architecture of old houses, photographs of family and neighbors, and heirlooms passed down from generation to generation. 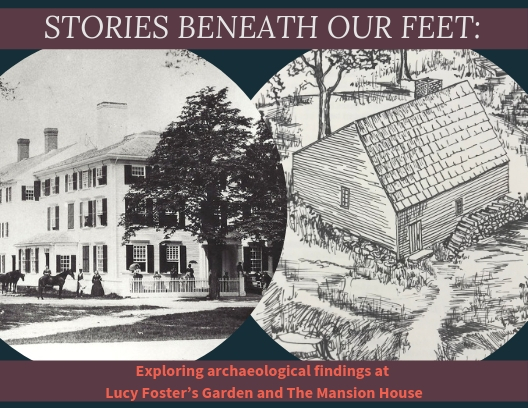 Not easily seen but equally important are the archaeological findings of sites like the Lucy Foster Garden and the Mansion House. 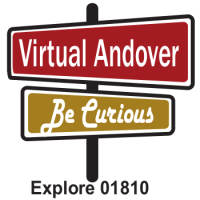 In conjunction with written records these sites provide interesting evidence and present fascinating questions about the lives of Andover residents in the past. Lucy Foster was born in Boston in 1767 and sold at the age of four to the household of Job and Hannah Foster of Andover in 1771. Lucy Foster worked as domestic servant and lived with Hannah Foster during her marriage to Job Foster and her second husband, Philemon Chandler. Lucy established her own home on land that was willed to her by Hannah upon her death in 1812. Lucy lived in that home until her death in 1845. Objects found at the site of her home provide a fascinating glimpse into the life of a woman who during her life was part of both enslaved and free communities in Andover. The ACHC is pleased to welcome Dr. Anthony Martin, who will discuss his research into Lucy Foster and her life in Andover. Dr. Martin is a retired army officer and current lecturer in the Departments of Ethnic and Gender Studies and Sociology at Westfield State University and the Department of Anthropology at Central Connecticut State University. Martin received his Ph.D. in anthropology from the University of Massachusetts Amherst in 2017. In 2018, Martin’s article Homeplace Is also Workplace: Another Look at Lucy Foster in Andover, Massachusetts was published in Historical Archaeology. The Mansion House was run as an inn by the trustees of Phillips Academy from 1810 until 1887 when it was destroyed by fire. Dr. Ryan H. Collins, Lecturer in the Department of Anthropology at Brandeis University and Co-director of the Mansion House Field School at Phillips Academy's Summer Session will discuss his class’s experience excavating the site of the Mansion House this past summer and share the stories and questions that arose from research into the Inn’s mysterious fire. Dr. Ryan will share how objects found at the site, in the History Center’s collection and articles from the Andover Townsman help to shed some light on an interesting mystery. Dr. Ryan H. Collins graduated with his doctorate in 2018. Recently he co-authored “Los origines de los mayas del norte: investigaciones en el Grupo-E de Yaxuná” in Arqueología Mexicana with Dr. Travis W. Stanton. He is also the co-founder and host (with Dr. Adam B Gamwell) of This Anthro Life, a podcast produced in an official collaboration with the American Anthropological Association since 2013. Neighborhood Programs are free and open to the public. To reserve your seat please call us at 978.475.2236 or register online.